Using a variety of strategies, producers of alcohol target young people and women with aspirational messages and other exhortations in an unprecedented onslaught of marketing and promotion which is increasingly being recognized as detrimental to public health and social welfare. The global exposure of young people to alcohol marketing requires an urgent policy response. Engagement by NGOs and governments independent from commercial interests is needed. This is the conclusion of Professor Sally Casswell in an article in the journal Addiction. All types of tools from the marketer’s toolbox are being used to promote drinking of alcohol, in particular towards young people and towards new consumer groups in emerging markets in the Global South. Traditional media are being used as before, like TV, radio, newspapers, magazines and billboards. But the growing volume of alcohol marketing, over and above the traditional media, has come in new media following technological developments and globalization of the market place; like sponsoring of sports and music, events, product placements in films and music, Facebook, YouTube and other social media. Professor Sally Casswell (picture left), Director of the Centre for Social and Health Outcomes Research and Evaluation (SHORE) in Auckland, New Zealand, has given an overview of the global alcohol marketing situation in a recent article in the journal Addiction. She points out that the expansion of the multinational alcohol companies, in particular the last two decades, has resulted in surplus profits which have been ploughed back into marketing of alcoholic beverages. Professor Casswell concludes her article: “The global exposure of young people to alcohol marketing requires an urgent policy response. The Framework Convention on Tobacco Control provides an appropriate model for global governance to control alcohol marketing. There are extant examples of national level legislation achieving comprehensive bans with France’s Loi Evin providing a feasible model. Resources from philanthropic organizations to allow non-governmental organization engagement are urgently required, as is engagement by the governmental sector independent of commercial influence”. The article has a short summary of the status of existing research on effects of alcohol marketing on knowledge, beliefs and consumer behavior. The essence of the current status is: “Quantitative methodologies have documented that exposure to alcohol marketing increases positive beliefs about alcohol, affects young peoples’ perceptions of how much their friends drink and increases the likelihood of young people drinking and how much they consume when they do drink”. 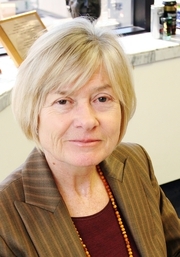 Prof. Casswell comments: Most research has been carried out in high-income countries, but it is likely that marketing’s effects are even more pronounced in the emerging alcohol markets with growing economies and high youth populations and which have larger numbers of abstainers and less history of alcohol use. In its 2006 annual report, Diageo reported that following a 28% increase in marketing, sales in emerging markets (outside Europe and the United States) were up 14% compared with 6% world-wide. Marketing’s impacts go beyond the immediate effects on the drinker or potential drinker and create a social milieu in which the positive aspects of drinking are dominant and its use is normalized”. 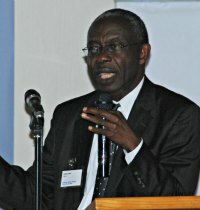 Professor Obot says that “Missing in the discussion on alcohol in most African countries is a clear understanding that alcohol marketing is not an ordinary economic activity and that the business of alcohol (…) can subvert the rights of the individuals and the principles of democracy which many African societies are struggling to enthrone”. He concludes by calling for concerted global action to check the excesses of economic operators through monitoring of unethical activities of the industry by interest groups in their home turfs. For more information about alcohol marketing in Sub-Saharan Africa; here is a presentation of the MAMPA project; Monitoring Alcohol Marketing in Africa. The alcohol industry is increasingly using online marketing to reach young people. Such marketing does not solely reach consumers in the home markets of the companies, as internet now is accessible almost anywhere in the world. Online marketing by Western beer and spirits companies therefore has relevance also in developing societies where young people are increasingly using the new social media. The effects of online marketing has not yet been studied and documented to the same extent as advertising in traditional media like TV, newspapers and magazines. In a fact sheet from September 2013 EUCAM has summarized existing research on effects of online marketing. They make reference to a number of studies which show a positive association between exposure to online alcohol marketing and the onset of alcohol consumption, the amount consumed and the frequency of consumption. EUCAM also points to the fact that the internet is also full of alcohol branded content that is generated by the users themselves. This makes it difficult to regulate and control such alcohol promotion. The EUCAM fact sheet can be accessed here. Here is a presentation of the report “Alcohol marketing in the digital age”. The full report can be downloaded here. South Africa has for some years been discussing a ban on alcohol advertising and other promotions. The ANC government has been determined to introduce such an intervention to protect public health in the country which has one of the most risky drinking cultures of the world. The alcohol producers and the advertising industry have fiercely been fighting an advertising ban. In an editorial in the journal Addiction the leader of the Center on Alcohol Marketing and Youth (USA), David Jernigan (picture below), has commented why an advertising ban in South Africa will be an effective intervention and a step forward for public health policies in the Southern African region. Alcohol advertising in Africa will, predictably, increase the number of drinkers in populations that are already among the most adversely affected by alcohol use in the world. South Africa’s proposed advertising ban is a bellwether for the continent. It will likely give a boost to broader public health efforts in South Africa that, like the ban, will be influential in broader alcohol control efforts in the region. These include restrictions on availability, further tightening drink-driving counter-measures, and possible increases to the legal drinking age. An advertising ban may give the public health community a chance to keep the abstainers abstaining, and to convince the heavy drinkers that there are better ways to live - and die. 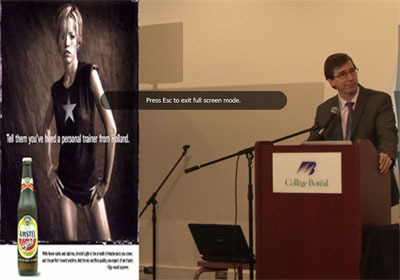 Dr. Jernigan has collected examples of how young women are target group for a new trend of alcohol advertising. Catchwords as organic, low-carb, natural and diet are used in advertisements to attract female drinkers. Say the slogans: Natural vodka. Organic tequila. Natural beer; purify your world. Natural tequila. Gluten-free vodka. The Four Loco brand is marketed with “natural Brazilian healing power”, brewed on natural Brazilian berries revered for centuries for its mystical healing power. See a brief video clip with Dr. Jernigan here. Dr. Jean Kilbourne (USA) has studied how women are portrayed in advertising more in general, but also by alcohol ads. In a video film with the title “Killing us softly 3” she discusses advertising and the image of women. Parts of the material is related to marketing of alcohol towards women. The film with Dr. Kilbourne’s presentation can be viewed here.